Prior to becoming involved with The New Saints, I had a season ticket at Molineux. I haven’t missed attending games in the same way as if I gave the ticket up and replaced it with non-football stuff. There has been a very good substitution and I’ve been happy enough. However, I do miss going to watch Wolves, and with the Welsh Premier League changing the main fixture day this coming season, there will be more scope to visit the Golden Palace. You can’t have enough football, can you. 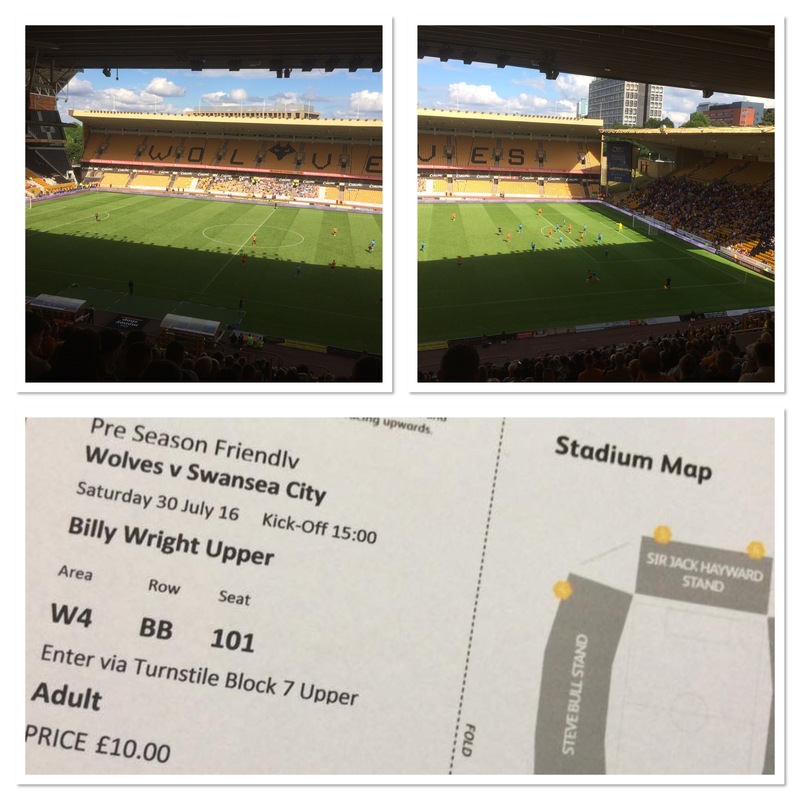 Last Saturday I sat in the Billy Wright stand, as Swansea City were the visitors in the final pre-season friendly before the Championship kicks off. Swansea. I still can’t get away from Welsh football, can I. With new owners, there is a revolution going on at Molineux. It’s going to be a very interesting 2016/2017. In the meantime though it was business as usual, as Wolves ended up on the wrong side of a 4-0 defeat. One thing I have learnt over the years however is to enjoy the game, regardless of the result. 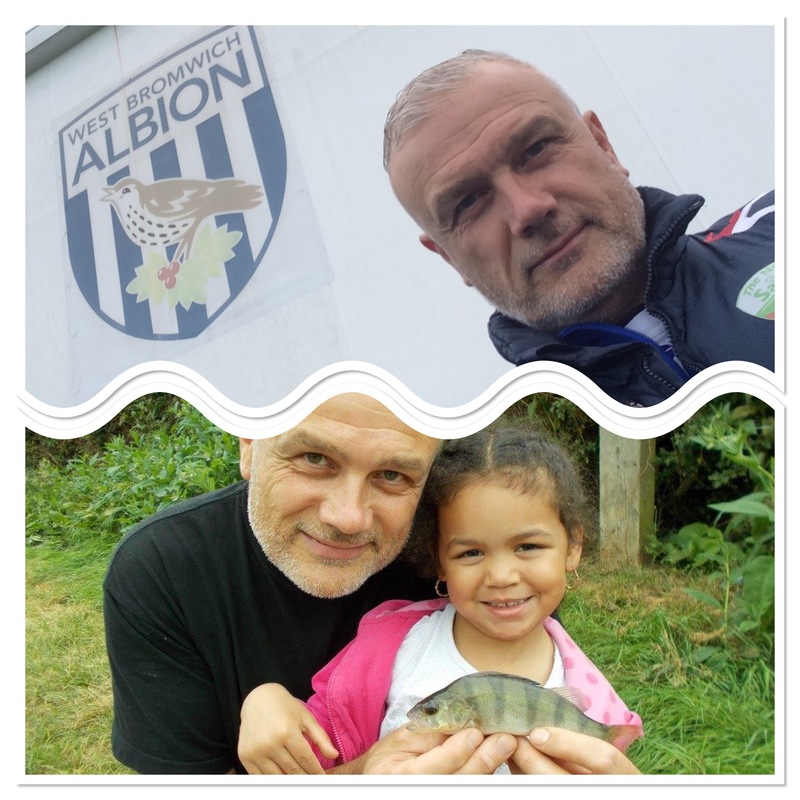 Although my daughters are adults themselves now, I remember very clearly taking them out and seeing them bank their very first fish. Well, I’ve been keen to pass the baton to the next generation and that’s exactly what I did with my granddaughter, Nyah. The original plan, as I was taking someone to the hospital, was that my wife would wait with them and Nyah and I would go on the local canal. However, they were in and out so quickly, we didn’t even get chance to park. 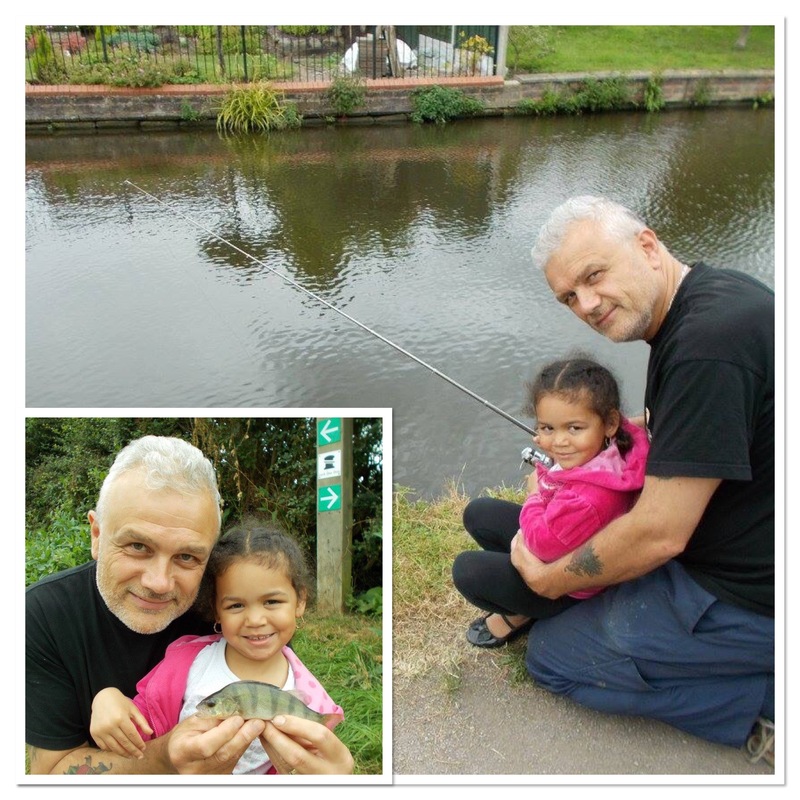 I said we would do it another day but my granddaughter was so disappointed, so, after we dropped the hospital patient back home, we headed for the Staffs/Worcs Canal at Swindon. I wanted her to catch a perch as it’s my favourite fish and you can see the set-up in the accompanying video. Not only that though, you can also witness her very first fish. We do live in privileged times; when I was a kid there was no internet, no digital phones, no social media. I never even got a photograph of my first fish, which was a gudgeon by the way. Without wishing to sound morbid, long after I’ve departed this planet, Nyah will be able to look back on that great moment (it certainly is for me anyway) and maybe even show her own grandchildren. In the meantime though, before I even think about leaving earth behind, I’ve hopefully got a lot more fishing of my own to do. Still after perch, session two saw me on a very different venue to the local canal. The lower Severn. When you mention the river, never mind from Worcester downstream, for most anglers it’s barbel that comes to mind. And it’s true to say that I do my fair share of barbus barbus pursuing on Sabrina. 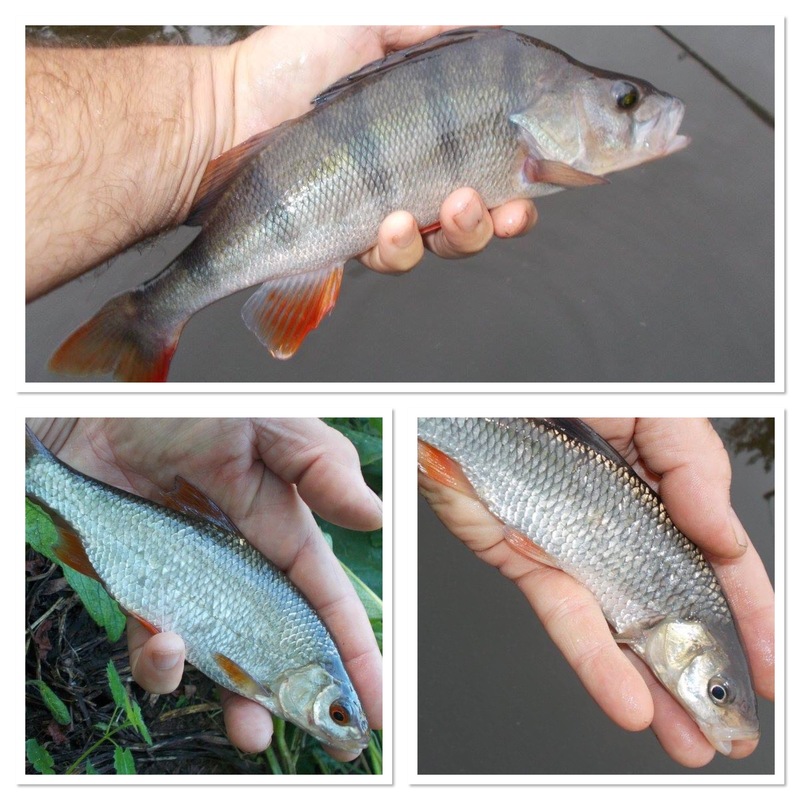 However, it’s more than just a barbel river, with numerous other species thriving. Whenever I’ve targeted them I’ve always caught perch and also a few nice ones along the way. As you can see from the photographs, I had some decent fish this time round as well. With lots of dense overhanging willow trees along its length, there are plenty of natural features to go at. With a good depth, even one rod-length out, I fished a 20g cage feeder packed with red maggots and brown crumb. The business end was a worm on a size 10 hook. I had a very pleasant evening indeed, and in with the perch, I caught a rudd. It was some years ago now, when the lower Severn spilled its banks big-time that I observed afterwards, when it settled down again, that lots of rudd had made their way into the river. Outside of floods of course, with it being slow and almost canal-like at times, it is suited for the species and they do seem to have taken a foothold. I now catch them regularly at numerous places. I also, although they are very localised indeed, catch rudd on certain sections of the Staffs/Worcs Canal, which is where I headed to next. With another very limited session ahead of me, I arrived and was fishing with a couple of hours to go till dark. A very simple set-up proved to be very effective, as it was action all the way. With 6lb line straight though to a size 10 hook and a hooklength created by nipping on a shot, and a 1/3 ounce free-running lead, it’s as simple as you can get. As with the other sessions this week, I fished a worm over red maggots. 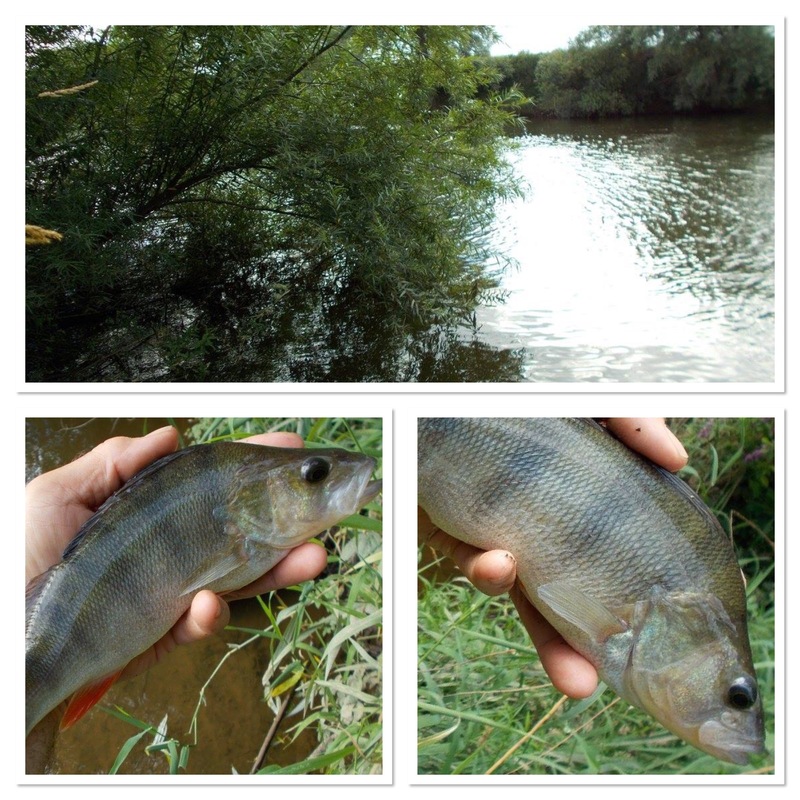 I caught lots of perch, ruffe, chub and roach. All the fish that I photographed were just in the hand, none were big enough for a pose-snap, but I had great fun, and that’s what it’s all about. I rounded the blog entry off, as far as the fishing was concerned anyway, with a return visit to the small brook that has featured recently in my ramblings. Again, I went for the big bait and hook approach, with the intention of avoiding the numerous small roach in the venue. I had loads of pucks and mashed worms but managed to bank one that was decent enough as far as the venue is concerned. After an hour the swim was exhausted but that was fine anyway as it was just a flying visit. 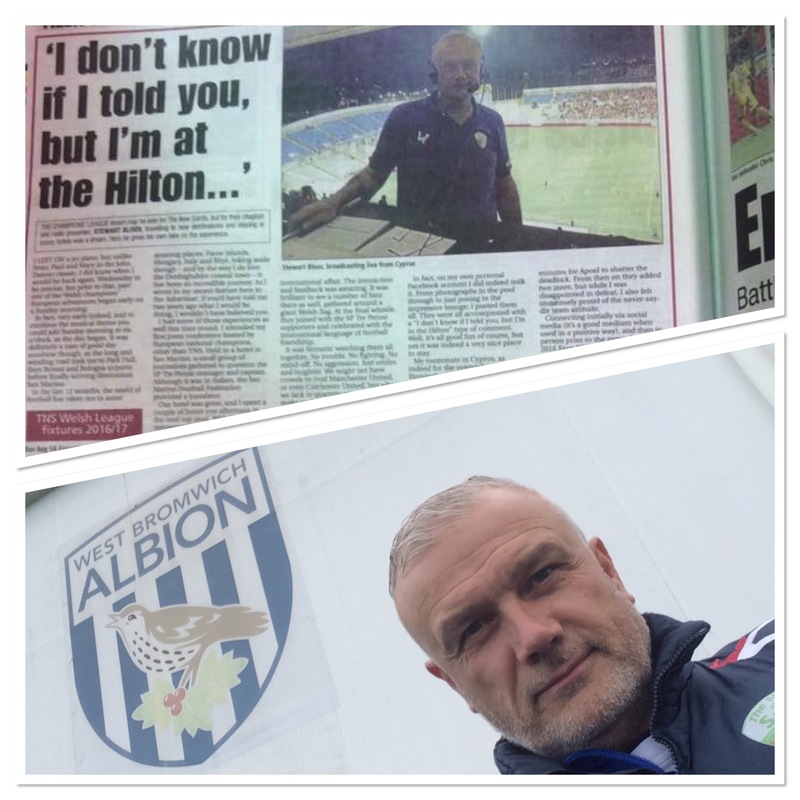 Football was calling, this time round it was a short trip across the Black Country, with TNS Ladies at West Bromwich Albion. As someone who had a season ticket at Molineux prior to getting involved at TNS, did it feel funny going to The Hawthorns? No, not at all. I must say I have distanced myself over the years from the intense hatred that exists between many of the supporters. I thoroughly enjoyed the visit, tweeting goal updates on the main TNS account and doing a TNS Ladies podcast special afterwards. I enjoy watching them play, and since promotion, they will be in the same league as Wolves Women this coming season. My football week had more to come as well, as on Thursday it was another pre-season friendly at Park Hall. The visitors this time were Cymru Alliance side, Guilsfield. This was my 14th game of the season and the leagues haven’t started yet. I’d like to do 100 games this time round, although I’m reluctant to declare it as a target as I don’t want it to become a burden. You know the sort of thing, going to games just for the sake of it.